How are you? I hope all of you are fine. I’m also fine for your blessings. Today I will share with you about “Meta Tag”. We use Meta tags in many sites for several reasons. Especially Meta tag plays a great role in SEO. Today I will tell you about some useful and some useless thing of Meta tag. So let’s take a look some useful Meta tags. How Google Meta Tags Impact SEO? Meta tag is such HTML code which is very important for a website. 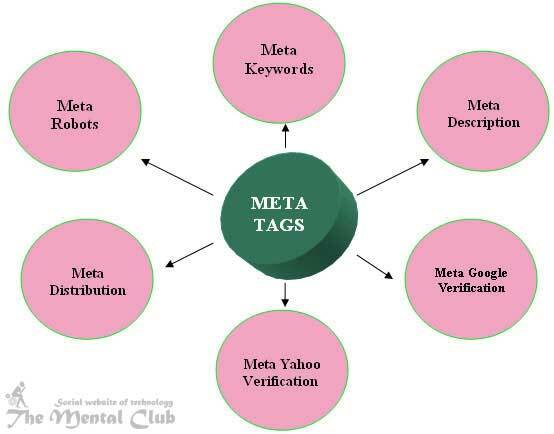 Meta tag is used mainly for search engine. Visitors will enter in your site through an individual keyword. And Meta tag plays a great role for marketing that keyword. Meta tag is inside the website. Search engine always gives importance first Meta tag in case of a search. So you have understood how much importance of it. Previous Article: What Is SEO Friendly Content? Learn The Techniques Of SEO Friendly Content Writing. Always keep in mind that the most important work of the site is made right title. You should take such type of title that which title will stand as the main keyword of your site. Suppose your site is based on an entertainment theme. Will you take a keyword of your site? Yes, now you have to select such keyword, which words or with which keyword your site explains totally. If you choose an entertaining word as the title of your site, then see discussion of all entertainment related theme is going inside it. Through which you can write on Bollywood, Hollywood, and Tollywood etc. In your site. If you would write Bollywood word, then you would write about only that Bollywood. In which your quality would decrease. Then you have understood how should be the title. Try to keep title small. And it keeps the power of saying details about your site with small keyword. Where does title stay, it was shown in the following. You have understood clearly about what is keyword. Now the subject is Meta keyword. Yes Meta keyword is not such thing, just it will highlight keyword. Suppose you selected keywords for your site. How search engine will understand that you have some particular keywords. With which keyword you are wanting visitors to your site. You can use Meta keyword for making it understand. When search engine searches then it reads first keywords of your site. Especially Google does this. So you have understood how much importance of this Meta keyword. Always remember one thing give Meta keyword from 4-10. I’m not saying that there will be something if you give more than this. There will be no problem. But just you will hurt by yourself. Nothing than this. You will decrease the site’s standard yourself. So I will say always about giving that particular. How does Meta keyword stay, it was shown in the following. It have on the page. Search engine searches it only. So it hides. Meta description is a funny thing. You have to write such article only in word of 200, which article makes understanding totally about your site. So you have understood how fatal this article is. Search engine searches always in serial rules. Meta description is also an important term of search engine. Always write Meta description by keeping in mind many things. Because your site is written with many subjects. Now you need to stand your article of 200 words by thinking on all subjects. And your article must be unique. You have to write articles in such way that your site publishes keyword inside it. So you have understood how much you need to work hard then an article writing is possible for Meta description. Know that before where will we set Meta tags? If you use this Meta tag, then robot of a search engine will visit your site a particular time for periodically and then it will index. Like if you use this tag, then robot of search engine will revisit your site after 15 days. You can change the time according to your need. This Meta tag is also useful. Those who update their site per every minute they will get benefit from this Meta tag. Visitors get disturbed to refresh again and again such type of site. So through this tag you can set the time of auto refreshing. If you use this Meta tag, then your site will be refreshed automatically after a particular time. As a result of adding this tag in site after 600 seconds or after 5 minutes site will be refreshed automatically. Then robot of a search engine will understand that you have said not to index your site. And if you don’t want to do that then use this tag. Or if you think they do that work, then give this tag. Yahoo also does this work like Google. But Yahoo uses their own open directory project (YDIR). So in case of Yahoo you can give this code. There are search engine in the internet, different robots Meta tags are used for some special search engines. Ok, be happy and take care. Thank you for reading this article. I hope this tune will work for you. If there is any mistake, then forgive me. If you face any problem, then don’t forget to comment. If you think the article is beneficial then obviously share it.